Ergonomic bed rail allows you to choose which direction to place it, depending on your needs and preference. 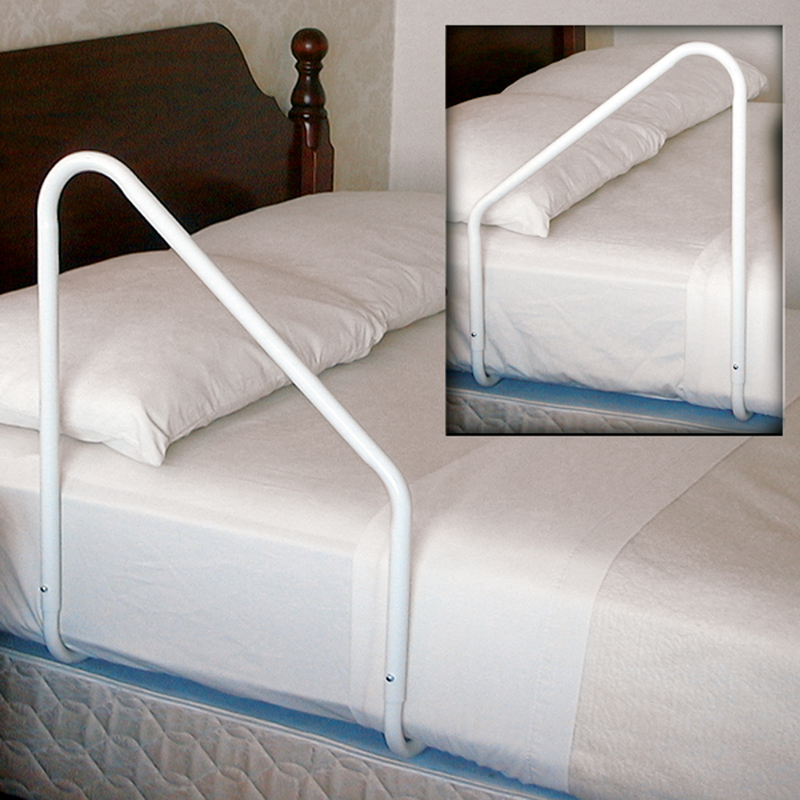 This bed rail provides a wide range of grasping and leveraging positions to help mobility and avoid back strain. Slant provides wide range of ergonomic grip positions. Fits any size home style bed in either direction. All steel tubing. Easy to assemble, no tools required. Helps make moving around in bed easier. Helps those with back pain. Assists in transferring to bedside commode.